Verbs are an essential part of being able to master any foreign language. This book provides a practical approach to learning the 500 most important verbs in the Korean language. The verbs are presented in alphabetical order where you can see its pronunciation, Romanization, meaning, and the model verb for which it follows the same conjugation rules. There is also the verb s table of conjugation, some familiar related words, common sentence patterns and some sample sentences. This book is a helpful guide to learning Korean verbs as well as a handy reference tool. You will also find the book 500 Basic Korean Adjectives helpful as well. The remarkable new edition of the best-selling Oxford Picture Dictionary, features over 4,000 words and phrases illustrated with all new vibrant, crystal-clear artwork. The topics, based on extensive input from teachers and students, have been thoroughly updated to meet the needs of today's English language learners. The new bilingual editions have complete second language indexes. A beginner's reading comprehension ability is the ability to read sentences that are frequently encountered in everyday life and to obtain the necessary information in basic social meetings. This book contains practical content that beginners will encounter in real life situations, as well as educational assignments that are properly suited for anyone at the elementary stage. The book also allows readers to understand conversations beyond the individual sentence structures and patterns. 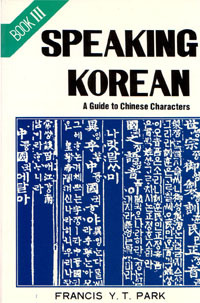 To further this point, the book gives appropriate questions and necessary Korean culture tips at each stage of learning. Colloquial Korean is easy to use and completely up-to-date! Specially written by an experience teacher for self-study or class use, the course offers you a step-by-step approach to written and spoken Korean. No prior knowledge of the language is required. What makes Colloquial Korean your best choice in personal language learning? * Interactive – lots of exercises for regular practice * Clear – Concise grammar notes * Practical – useful vocabulary and pronunciation guide * Complete – including answer key and reference section By the end of this rewarding course you will be able to communicate confidently and effectively in Korean in a broad range of everyday situations. Audio material on CDs or in MP3 format is available to complement the course. Recorded by native speakers, this material will help you perfect your pronunciation, listening and speaking skills. Basic Korean: A Grammar and Workbook comprises an accessible reference grammar and related exercises in a single volume. This book presents twenty-five individual grammar points, covering the core material which students would expect to encounter in their first year of learning Korean. Grammar points are followed by examples and exercises which allow students to reinforce and consolidate their learning. Basic Korean is suitable for both class use as well as independent study. Key features include: * a clear, accessible format * many useful language examples * all Korean entries presented in Hangul with English translations * jargon-free explanations of grammar * abundant exercises with a full answer key * a subject index. Clearly presented and user-friendly, Basic Korean provides readers with the essential tools to express themselves in a wide variety of situations, making it an ideal grammar reference and practice resource for both beginners and students with some knowledge of the language. This new edition of Elementary Korean is the most comprehensive and detailed introductory Korean textbook available. Perfect for a first-year university-level course or for the independent language learner, with no prior knowledge of the language necessary. A new format—now with dozens of illustrations—presents vocabulary, grammar, conversations and exercises that make Korean accessible and understandable. The new edition also includes corrections and some new content, such as new vocabulary and exercises.